Follow along on Instagram @paperpaintandpine for sales! Announcement Welcome to Itsy Bitsy Paper | A small business with BIG style. 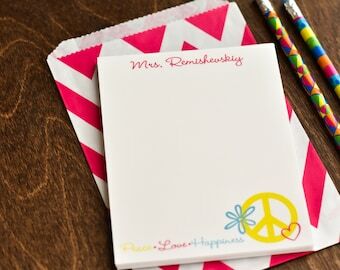 Specializing in Modern and Colorful Personalized Stationery, Invitations, Announcements and More! Items can be personalized to your needs and custom requests are always welcome. All items ship within the United States through the US Postal Service. International orders are sent via First Class International Mail. International orders may be taxed upon arrival. Turnaround Time: Proofs are emailed within 24 hours. PLEASE NOTE: If the proof is approved with an error the customer will be responsible for purchasing the Stock for a reprint. Please check each proof very well--address and phone numbers are the most overlooked items on a proof so make sure you look closely. Items typically ship in 3 to 5 Business Days after proof approval. If you request seeing a proof and don't follow through with an order the proof charges are $10.00 per proof. **No refunds are given due to the personalized nature of each item. Paper, Paint and Pine is always happy to replace an item if it is an error on their part and if you change your mind on the item you have purchased then the purchase amount can be used towards another item within the shop. **Important Info: Weekend hours are limited so proofs and emails may not be answered until the following business day. Please note that all monitors show color a bit differently. Additional information is located in my "Shop Policies". All cards are designed, cut, printed, packaged and shipped from North Carolina. Each card is printed with the company website on the back. North Carolina Residents will be charged 6.75% sales tax upon checkout. It will appear when you pay on PayPal. I look forward to working with you and being your go to company for all things paper! Welcome to Itsy Bitsy Paper | A small business with BIG style. Lover of all things modern and colorful! I have been in love with paper since I was old enough to hold a pen and feel the weight of a good piece of paper in my hands! I worked for a great contemporary gift store that specialized in paper for four years. I was their Wedding and Invitation specialist and loved every minute of it. Sadly the business closed and it gave me the inspiration to start my own business. I have always loved planning parties and helping people see their vision become a reality! 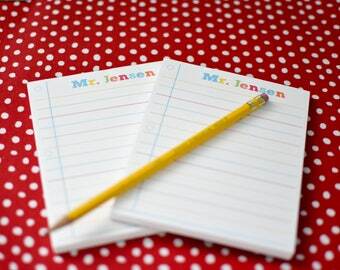 I love to have a creative outlet and for me making cards and stationery and creating is my way! I am a paper crafter, a novice jewelry crafter and enjoy numerous other crafts. I have been a lover of Etsy for a long time and figured since I sit at my computer creating at all hours of the day and night I may as well put some of my creations out there to share with others! The manufacturer is based in the USA and has been in business since 1969. Products are nontoxic, BPA-Free, and dishwasher safe. Products are proudly made in the USA, and they purchase all of their materials and components from American businesses. Thanks for stopping by! You'll find the answers to most of your questions here but if you have any further inquires, please send me an email at itsybitsypaper [!at] yahoo.com or a convo through Etsy. Turnaround is usually 1 business day for a proof and once the proof is approved it will be 3 to 4 business days for printing and then shipping. If you need your order sooner, please send me a message to be sure I can accomodate you--I always do my BEST to make it work in your timeframe. PROOFS are emailed within 24 hours. PLEASE NOTE: If the proof is approved with an error the customer will be responsible for purchasing the Stock for a reprint. Please check each proof very well--address and phone numbers are the most overlooked items on a proof so make sure you look closely. I post 1 item in stock at a time but do have any quanity available. If you would like additional quantities please convo me or purchase your item and in the purchase message let me know the additional quanity and I will send a seperate invoice. If you are unhappy with your purchase or the service received please email me at itsybitsypaper [!at] yahoo.com or convo me through Etsy and I will do my absolute best to resolve any issues you have. I strive to make each and every one of my customers happy and pleased with their purchase! I never want anyone feeling they had a bad experience. Payment must be made within 3 days of the transaction. If this can't work for you please convo me or send me an email at itsybitsypaper [!at] yahoo.com and we can discuss it. I accept Paypal.